Interning behind the scenes at New York Fashion Week this past September for the Spring/Summer 2016 collections, taught me that no matter what tasks I’m assigned it contributes to the runway shows success. Aside from the glamour of runway models walking in five thousand dollar gowns, there are countless people working endless hours to produce the perfect eight minute fashion show. Through Berkeley College I was given the contacts to email a well-known branding and consulting agency, Black Frame, to land my first internship. Black Frame consists of jobs from being an usher to handing out press releases to the guests at fashion shows. As an incoming freshman about to start college, I was thrilled to work three shows during the week. I got to intern at the Creatures of the Wind, Phelan, and Rodarte fashion show. 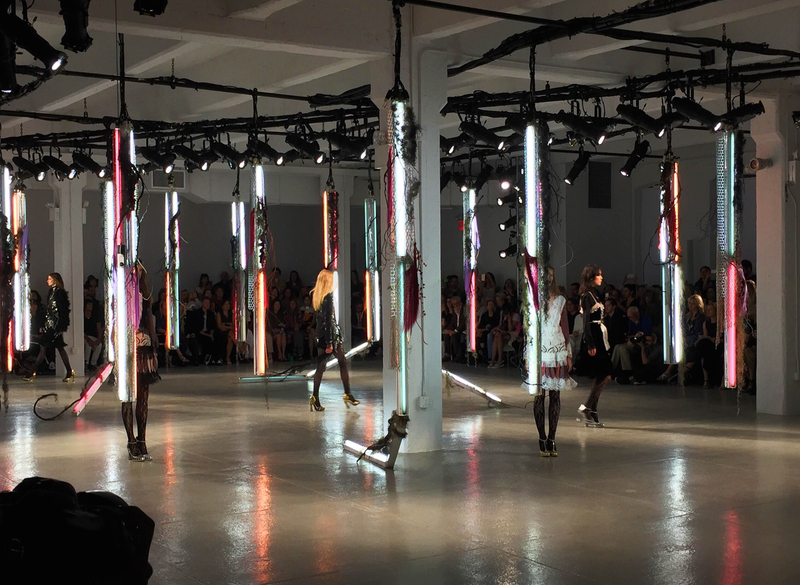 The one event that summarizes my experience as a New York Fashion Week intern was working the Rodarte show. Initially, my call time to meet was 8 AM, however, my excitement somewhat decreased when this changed to 6AM. I realized how valuable a flexible schedule can be when interning. Once I arrived at the venue, all the interns explored the first three levels. The third floor accommodated the hair and makeup team that made their presence known with the overpowering scent of hairspray. The second floor was transformed into a designer runway with fluorescent lights hanging from the ceiling as they were adorned with chicken wire, intertwined with branches, and pink hair extensions making it an artistic masterpiece. Soon enough, I started working by labeling each seat by section, row, and seat number which made my job critical so that important people in fashion had better seats. Next, I placed on every seat a press release about the collection and a packet describing each model’s garment. It was our job to make sure that every merchandiser, editor, or blogger had all the information they needed about Rodarte’s collection. When our work was finished, we had the privilege of hearing the soundtrack and seeing the models do a run through the entire show. As guests arrived, all the interns headed to their assigned section to help usher guests. As I stood in position, I could see three actresses talking with music artists and fashion editors and socializing with fashion bloggers. Then, there was Anna Dello Russo, head editor for Vogue Japan, entering with her oversized cape jacket. Suddenly Anna Wintour, editor-in-chief for Vogue US, entered the room in an emerald green skirt suit and I was in absolute disbelief that we were in the same room together. My disbelief increased as it was time for the show to start and all the interns got to see from the side Rodarte’s fashion show. Everything from the hand-beaded pants, embellished flowered roses, and hand-crafted lace gowns were absolutely breathtaking and incredible. 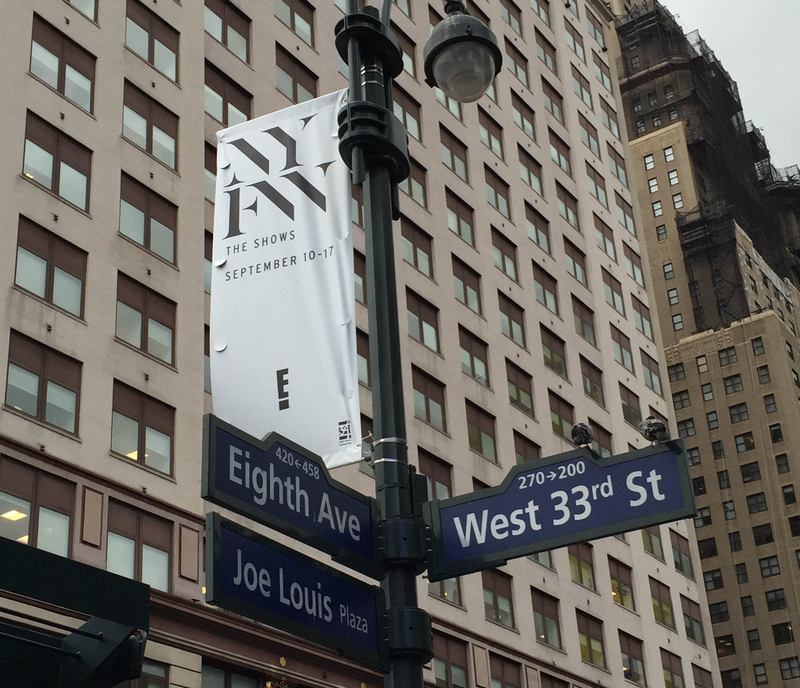 Interning at New York Fashion Week is an experience I will never forget and I intend to do many more throughout my college career. I am very interested in doing the samr. How did you go about getting the contacts . What was the process of getting the internship. Was this a paid one?